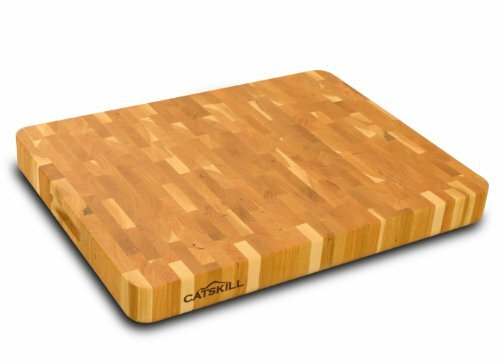 Catskill's "Gourmet" collection offers a wide range of chopping blocks for every occasion. 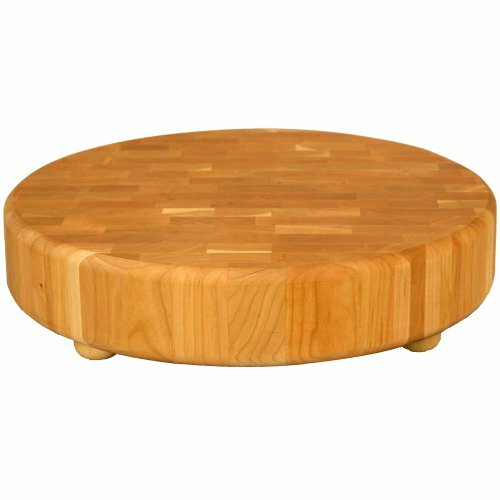 Blocks include special features such as rounded corners, deep blended juice grooves, wooden ball feet with rubber pads, and laminated domestic hardwood in a variety of grain patterns for durability, toughness and beauty. All have oiled finishes. 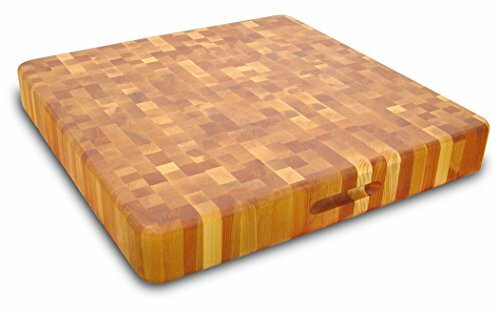 Catskill's Professional Cutting Board Series was created for the specific challenges faced by today's professional and semi-professional chefs and yet fit perfectly into any kitchen, commercial or residential. The perfect size for any kitchen, whether its at the restaurant or back at home. The inch-and-a-half thick design guarantees a long life under even the most grueling of work loads. 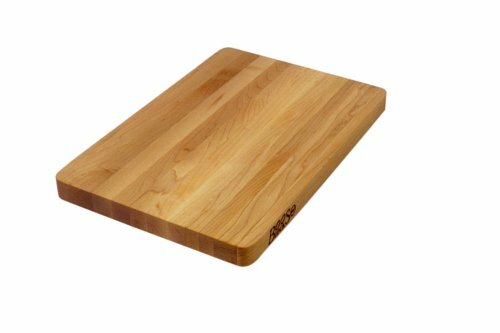 Featuring a deep juice groove and a plain reversible side, these boards are sure to assist with any food preparation. Manufactured in the USA from North American Hardwood. Products offered by Catskill Craftsmen are made from naturally self-sustaining, non-endangered North American hardwoods, primarily birch and hard rock maple. Lumber is purchased from area sawmills, then dried, manufactured, and packaged on site. All sawdust, shavings and waste materials generated during the manufacturing process is converted into wood pellet fuel, and used to heat homes. Catskill Craftsmen operations generate no wood waste. 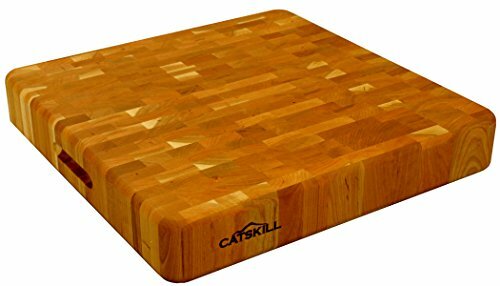 The Catskill Craftsmen Ultimate Chef Set branded cutting boards and chopping blocks includes 5 boards making the set an ideal gift for one person, or divide up the set into five gifts! 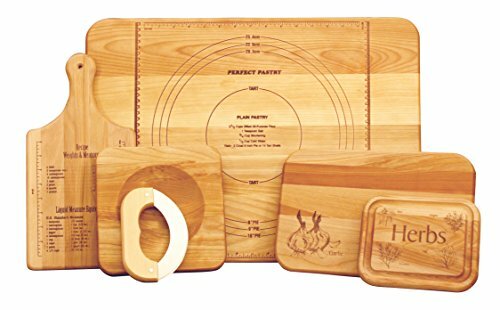 The set includes the reversible Perfect Pastry board, the curved Messalina chopping block with blade, the branded Mini Herb Cutting Board, the branded Garlic cutting board and the branded Weights and Measures paddle cutting board. 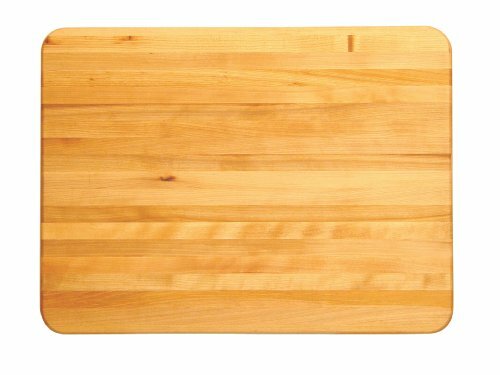 Long-lasting and easy to care for, the oiled finish of these boards simply wipes clean with a damp cloth. 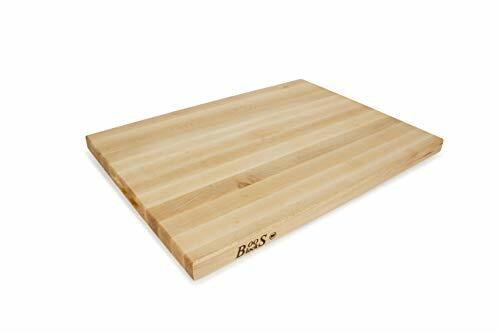 Do not soak boards in water for any period. 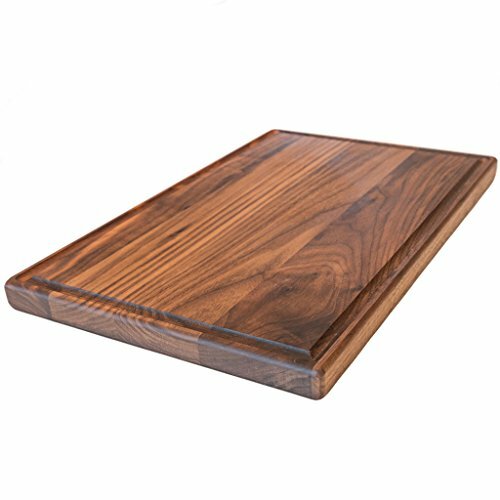 This natural hardwood cutting board with nonslip feet would be an item of pride on any kitchen counter. Its rugged end-grain wood is cut in a 3-inch slab, virtually eliminating warping, and making it easy on knife blades. 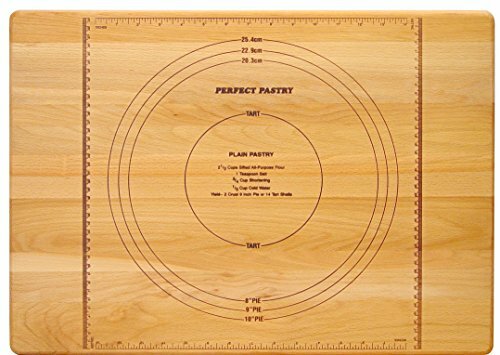 Measuring 15-1/2 inches in diameter, it provides plenty of surface room to maneuver, even to chop and temporarily store the veggies for a soup or casserole, for example. Though at 18 pounds, you'll probably want to leave it in a semipermanent location on the counter. And while you're using it, your conscience can rest easy, knowing that Catskill Craftsmen products are made exclusively from non-endangered, self-replenishing, domestic trees. 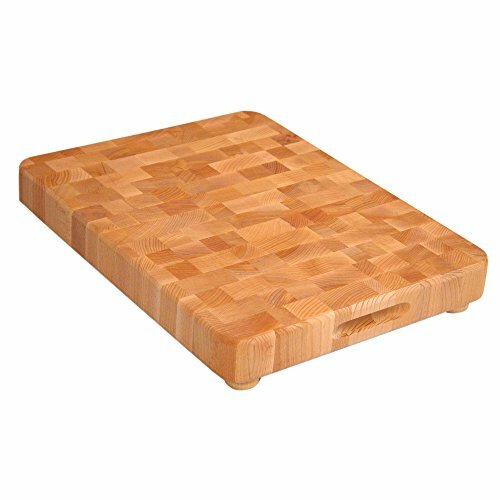 Catskill's Professional Cutting Board Series was created for the specific challenges faced by today's professional and semi-professional chefs and yet fit perfectly into any kitchen, commercial or residential. 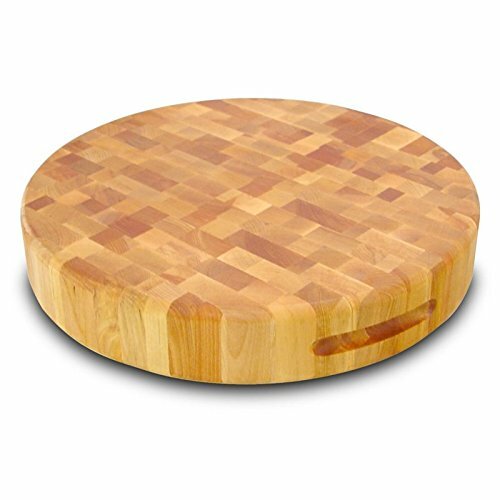 Rugged and Dependable, these professional-grade cutting boards are long lasting and knife friendly. One-and-a-quarter inches thick and reversible, each of these boards will feel at home in a commercial or residential setting. Made of gorgeous North American Hardwood and manufactured in the USA. Products offered by Catskill Craftsmen are made from naturally self-sustaining, non-endangered North American hardwoods, primarily birch and hard rock maple. Lumber is purchased from area sawmills, then dried, manufactured, and packaged on site. All sawdust, shavings and waste materials generated during the manufacturing process is converted into wood pellet fuel, and used to heat homes. Catskill Craftsmen operations generate no wood waste. Long-lasting and easy to care for, the oiled finish simply wipes clean with a damp cloth. Do not soak in water for any period. Products offered by Catskill Craftsmen are made from naturally self-sustaining, non-endangered North American hardwoods, primarily birch and hard rock maple. Lumber is purchased from area sawmills, then dried, manufactured, and packaged on site. All sawdust, shavings and waste materials generated during the manufacturing process is converted into wood pellet fuel, and used to heat homes. Catskill Craftsmen operations generate no wood waste. Longlasting and easy to care for, the oiled finish simply wipes clean with a damp cloth. Do not soak in water for any period. 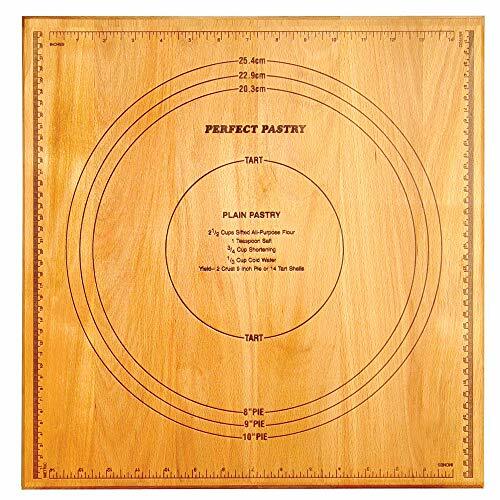 Our Pastry Board is our best selling hardwood board. 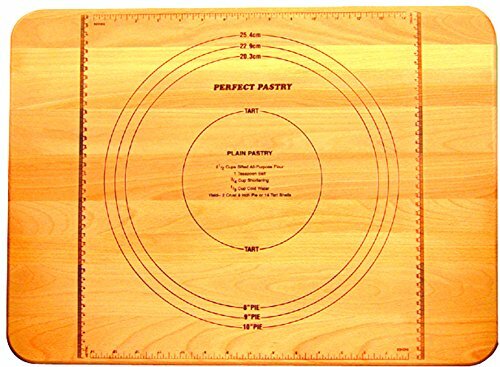 For even greater flexibility, we have expanded the collection using our "Perfect Pastry" permanent brand on different sized/shaped boards. 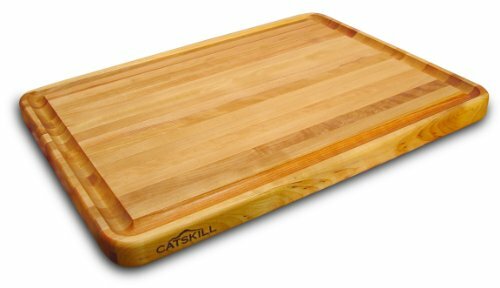 Products offered by Catskill Craftsmen are made from naturally self-sustaining, non-endangered North American hardwoods, primarily birch and hard rock maple. Lumber is purchased from area sawmills, then dried, manufactured, and packaged on site. All sawdust, shavings and waste materials generated during the manufacturing process is converted into wood pellet fuel, and used to heat homes. Catskill Craftsmen operations generate no wood waste. Longlasting and easy to care for, the oiled finish simply wipes clean with a damp cloth. Do not soak in water for any period. 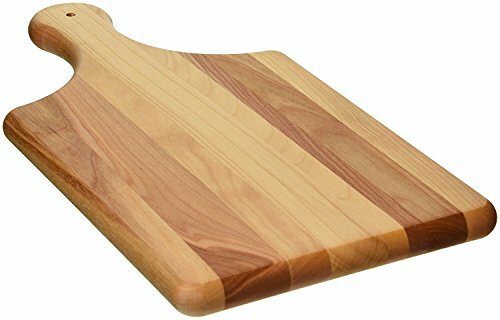 This top-of-the-line, rugged, natural-wood cutting board--Catskill Craftsmen's largest and best--is designed for the cook with a mission. Measuring 1-1/2 feet square, it provides plenty of room to maneuver, even to chop and assemble all the veggies for a soup, for example. At 27 pounds, you'll probably want to leave it in a semipermanent location on the counter, though finger holes are provided to assist moving. The 3-inch depth virtually precludes warping, while the end-grain hardwood is easy on knives. And all the while you're using it, your conscience will rest easy, knowing that Catskill Craftsmen products are made exclusively from non-endangered, self-replenishing, domestic trees. 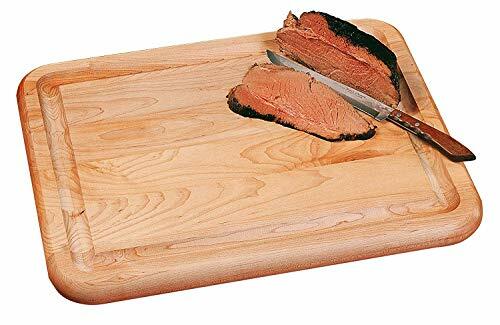 The Cut 'N Catch hardwood cutting board, made from non-endangered, self-replenishing, domestic trees, is a PBS cooking-show celebrity--and it's easy to see why. When it's used on the countertop with the trays in place, you simply sweep cut pieces into one of the removable trays. When disposing of waste, slide the entire board next to the sink; the strategically placed slot allows depositing waste directly into the sink garbage disposal while the feet stay firmly rooted on the counter. 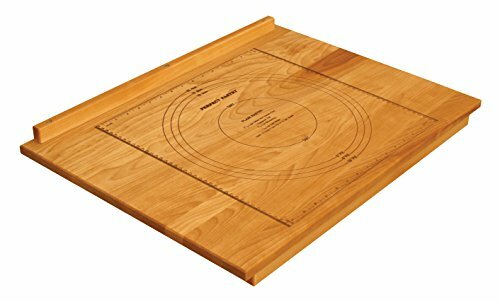 A hefty 2 inches thick and measuring a convenient 12 by 24 inches, it provides ample surface room for most cooks and wood feet covered with rubber pads to provide a stable cutting surface. 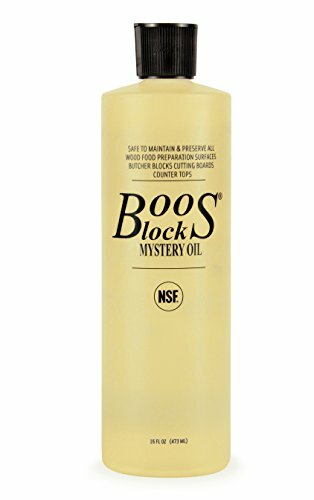 Keep your wooden cutting boards and butcher blocks in prime condition with John Boos Block Mystery Oil. Once a month, apply an even coat of NSF Approved John Boos Mystery Oil to your cutting board or butcher block and allow it to soak in overnight. Allow the Mystery oil to fully penetrate through the wood fibers overnight, then wipe off any excess oil. Apply additional oil to any visible dry spots or for any other necessary reasons. Do not over oil your cutting board. Repeat this process more often when the board is brand new and “thirsty,” or if you live in a dry, arid climate. John Boos recommends applying John Boos Board Cream (sold separately) to seal the top of the wood surface after applying the Mystery Oil. A few quick minutes of regular oil application will ensure your new board is properly seasoned, and ready for work! Applied every three to four weeks, John Boos Mystery Oil prevents wood from drying, splitting, or cracking. Mystery Oil is safe for food preparation surfaces and can also be used to maintain wood countertops and wooden kitchen tools. Proudly Made in the USA of all Natural ingredients. NSF certified.